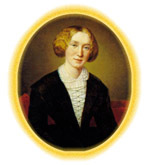 Review of George Eliot and the Conventions of Popular Women's Fiction: A Serious Literary Response to the "Silly Novels by Lady Novelists"
As Susan Rowland Tush notes, recent critics have given considerable attention (often rather harshly) to George Eliot's essay 'Silly Novels by Lady Novelists', which was published in the Westminster Review in October 1856. Among these critics are some who argue that Eliot undermines the position of women by calling a certain class of novels 'silly'. Tush points out, quite rightly, that Eliot does not apply the term casually or universally; she is very specific about the qualities she considers silliness, and she praises Harriet Martineau, Currer Bell, and Mrs. Gaskell in the same essay. Tush reminds her readers, as does Thomas Pinney in Essays of George Eliot (London: Routledge and Kegan Paul, 1963), that 'Silly Novels' appeared just before Eliot began writing fiction. Thus, her comments on what constitutes bad fiction are particularly interesting. Eliot directs attention to three categories of novels and uses six examples published in 1856 to support her case.